The use of coconut oil has many health benefits including relief from your monthly PMS symptoms! Last summer I decided I wanted to start using coconut oil in my diet. My parents were using it in their coffee so I decided to try it. It was pretty good, it took some time to get use to the oily texture on my lips but it didn't take long before I was use to it and it tasted good. If you buy unrefined organic coconut oil there is a slight coconut flavor but not too bad. After the very first month of using a tablespoon in my coffee in the morning and then another in my herbal tea in the afternoon I noticed my monthly menstrual cramps were 95% gone...WOAH!! Ok maybe it was just this one month....nope it continued every month after! I've been using the oil for 8 months now and have not had cramps and very little PMS whatsoever. This is just one health benefit of this incredible oil. 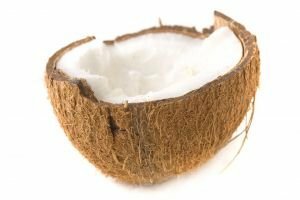 I will be writing more HUBS on uses of coconut oil, I am totally obsessed about it. Hope this helps some women out there looking to get rid of their monthly cramps without using over the counter drugs that can be very hard on your body if you use them to often.